By Ashley Rodriguez . Published on May 20, 2015. Spotify is rolling out a slew of new products, including a video platform, designed to transform the music streaming service into a much broader entertainment system. By adding video to its mix and making better use of customer data, the company aims to engage customers on the platform for longer, while offering marketers new ways to connect with listeners. "Spotify users are engaging not just with music at a fast-growing pace, but they're also looking at other content types as well," said Jeff Levick, chief revenue officer at Spotify. "Having a more immersive experience with the ability to toggle between audio and video, allows people to listen and engage with both depending on where they are and what they're doing." 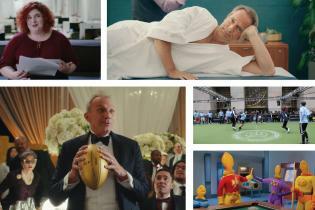 Among the new services announced today, a video platform will feature entertainment and news clips from major media brands including ESPN, Vice, Viacom, NBCUniversal, Disney and Conde Nast. The company is also testing and building out a content strategy that includes original and exclusive content such as "Dance Move of the Day" produced by Amy Poehler's Smart Girls and "Turntable," which features meals and performances by chefs and musicians. Music videos will not be featured on the platform yet, but Spotify is introducing programming that offers fans behind-the-scenes access to artists and exclusive performances. The video service will be available on both the free ad-supported tier and the paid ad-free tier of Spotify. Currently, all of Spotify's advertising is cross-platform, so advertisers will need to sign deals to run ads on the music service in order to access the video services inventory. Spotify is still working out what type of ads will run, when and how often, Mr. Levick said. But the company expects to use its store of listener data to help advertisers target customers based on where they are and what they're doing. The entertaiment site is using its customer information to pinpoint what customers are listening to when they're getting ready to party on a Saturday night and when they're waking up to go to work on Monday morning. "It's really giving us these data cues that allow advertisers to not just look at the time of day but also the context that's happening around that listening," said Mr. Levick. "Knowing the moment and the context of what someone's doing, it allows brands to actually send a more relevant message during that moment." Another new feature, called Spotify Running, offers curated playlists based on listening histories, and features multiple genres of music and original running songs. As part of the effort, Spotify is partnering with Nike to give Nike users access to the service starting this summer. Spotify Running will also allow advertisers to gauge how they want to connect with listeners before, during or after their run. As the company builds out its video service, it will learn more about customers' viewing habits, so marketers can similarly target messages on that platform. Branded content is another area the company hopes to expand on, Mr. Levick said. "What's really exciting is the ability to bring brands closer into the content experience," he said. Among the other initiatives announced today, the streaming site will leverage its knowledge of customer listening habits to offer up curated playlists and suggestions for users. Called "Now," the new start page endeavors to serve up the right music at the right time. Spotify will also offer other audio programming like podcasts and curated-radio shows from artists including Icona Pop, Jungle and Tyler the Creator. The streaming service's announcement today comes on the heelsof its partnership with Starbucks. The effort will give the retail chain's loyalty program members access to Starbucks music on Spotify and the ability to influence in-store playlists. "This has been a pretty big week for us," said Mr. Levick. "You should expect to see us do more and more of these interesting partnerships, see us do more and more around different content types and really see us do more and more creative things with brands."